Just consider the irony of our lives. We keep trying to increase the value of all the unimportant things in our Life, instead of trying to reduce the values (parameters) of what’s most important for us to live. We worry ourselves to death trying to increase our wealth, our real estate, our fame; we lust and crave for rewards and recognition, and want more and more people to appreciate us. Even as we are doing this, we don’t realize that things more valuable than what we are chasing are also increasing in value. Our weight, our blood pressure, our heart rate, our triglycerides, our sugar and cholestrol. The irony: if we worked systematically to reduce the values of our body parameters and bring them to acceptable levels, we will be able get more of what we want without as much effort as we are struggling to invest now. Phil Crosby, the Quality Guru, wisely said, “Health is the only Wealth. And it’s Tax Free!” So, doesn’t it make sound financial sense to focus on what matters than on matters that don’t? Take a break – nurture your body! Every once in a while we must listen to our body. It often gives us several warning signs and tells us all that we need to know about ourselves. Ironically, doesn’t our air-conditioner, mobile phone, laptop and our car receive more attention and care than our body? Isn’t that a very unintelligent choice we make? A key reason why we postpone personal health and fitness issues is that we think we have a lot of time to deal with them. The truth is, we don’t! With every passing second, our lives are getting shorter. Surely, nobody wants to spend time in hospitals and among doctors in the evening of their lives. And if we spent a little time to reflect on the generation that is ahead of us – and see what their lives are like, we will take our own lives seriously. Pretty soon we will be where that generation already is – reporting mobility issues, dealing with lifestyle-led complications like diabetes, hypertension and heart ailments or simply facing age-related consequences. Around that time, our children will be getting ready to build their careers and families. The last thing we would want is to burden them with helping us deal with our health challenges. Besides, the simple truth is that the more fit you are, the more productive (with your line of work), more peaceful and happier you will be. By fit, I don’t mean having a six-pack-ab body. I simply mean being fit enough not to have serious consequences arising from poor and irresponsible lifestyle choices! Take a break. 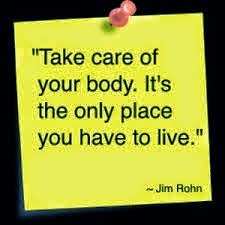 Nurture your body! I recall Quality guru Philip B Crosby’s (1926~2001) immortal line, “Health is Wealth. And it is totally Tax Free!” Need we say any more? Author AVIS ViswanathanPosted on February 15, 2015 March 14, 2016 Categories Art of Living, Happiness, Health, Healthy Living, Inner Peace, Intelligent Living, Phil CrosbyLeave a comment on Take a break – nurture your body! We think and worry about all things replaceable in Life, while never even pausing to think of the most important, irreplaceable, asset we have, our health. Think of all the things that we worry about. We worry about money. We worry about careers. We worry about relationships. We worry about passports and visas. We worry about our cars and computers and smartphones. When we worry about these things, we rue their loss or fear their absence or their breaking down. Almost all these things can be regained. Almost all the time. 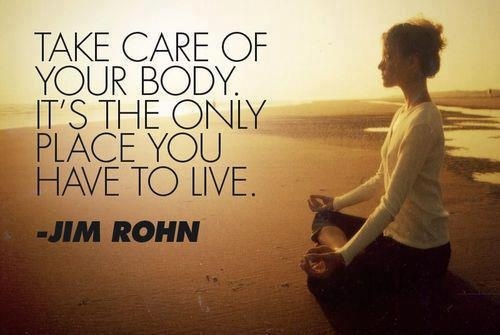 What we don’t or rarely worry about ever is the most important, irreplaceable aspect of our lives, which is our health. How often do we even think of the loss of our health? We don’t think of it, so we don’t talk about it and therefore we don’t worry about it! The call here is not to start worrying about one more dimension in your Life but to consider the banality in worrying about less important stuff and to not even focus on the most important one! Phil Crosby, the Quality Guru, said this famously: “Health is Wealth. And it is absolutely tax free!” Jonathan Swift, the immortal author of Gulliver’s Travels, says, “Live all the days of your Life!” Read that line again. Living means to focus on what’s important. 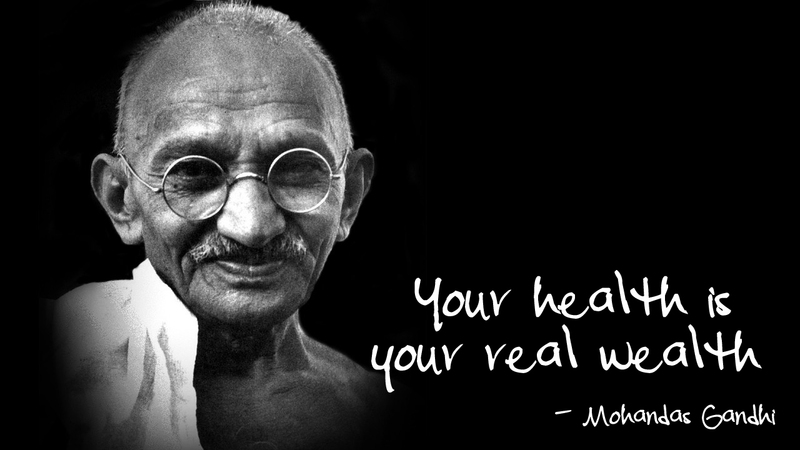 And the most important tool you have to experience this lifetime is your health. This body will wither away with age. No doubt. But to be able to keep it in good condition till it finally stops functioning is a responsibility that you and I must not abdicate.